14 weeks to go until I run the London Marathon, and this week was a bit of s non starter. But I’m ok with it. It seems my body needed a bit more rest before I get into my marathon training, so I stepped back and gave it what I think it needed – some (more) rest. After cramming 38 miles into 4-5 days at the end of the year, my right calf protested. And even with a bit of rest is given it at the new year, on Monday morning (the 11th), it still wasn’t right. 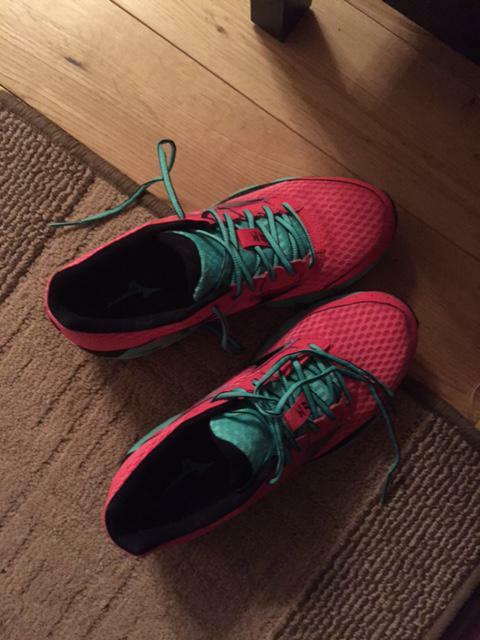 I planned to run 4-5 times last week, then with what appeared to be a calf strain I told myself I’d replace my runs with other forms of cardio – either swimming or Spinfit – but it just wasn’t to be. Rest was probably a better option anyway. I did do some strength training though and the rest, was rest (and settling back into my first full week at work for ages). One good thing about last week is that my recovery after strength has improved. 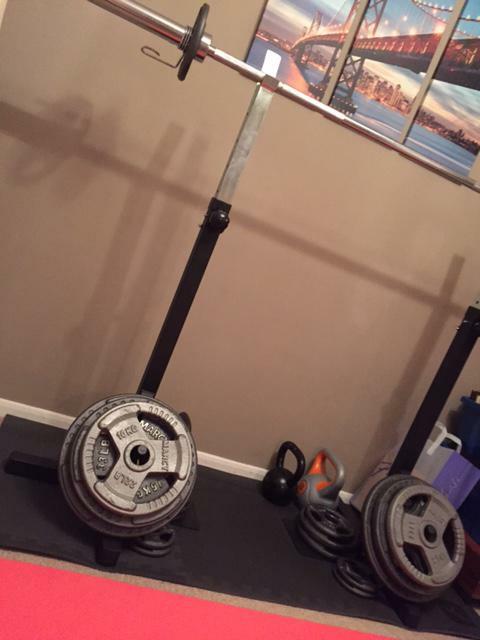 The first time I did squat strength for ages, I was sore for about 4 days. This time, with the same or even heavier weights, I was OK by day 2. So I’m getting used to it and it’s time to add some weight. I’d done KB strength on the Saturday before last week, and I’ll do it again on Monday. I had started my 30 day strength challenge and got up to day 10 on Friday, 130 squats, 60 secs planks, 15 press ups, but if I’m honest, is rather just focus on strength training (, recovery) and running right now, so I’m quietly pulling out of that challenge. 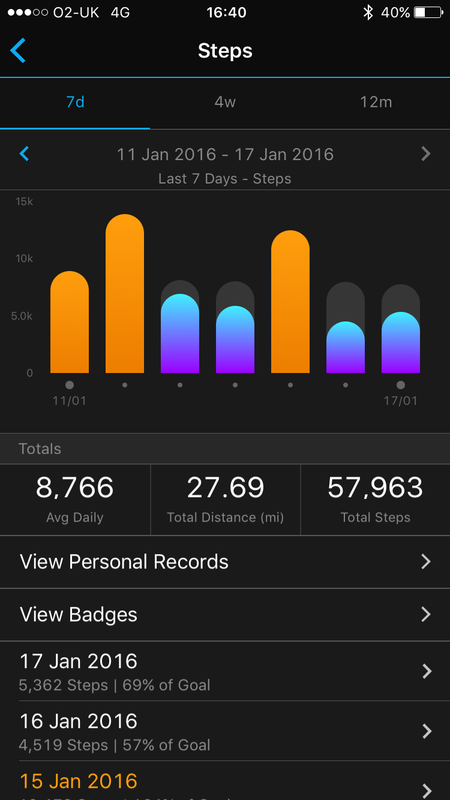 Not many steps this week, I met my target a few days with walking, but it’s running that tends to get me my steps goals.